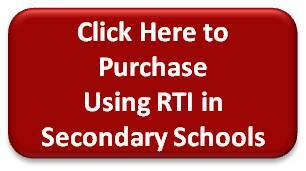 Effective use of RTI: your road map for reaching every struggling secondary student! No educator wants to see their secondary students fail classes, drop out, and risk a lifetime of reduced opportunity. Response to Intervention (RTI) allows educators to identify at-risk students and help them before problems snowball. 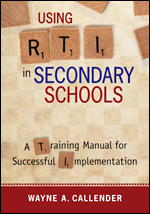 Learn how to plan, deliver, and maintain a successful RTI program!